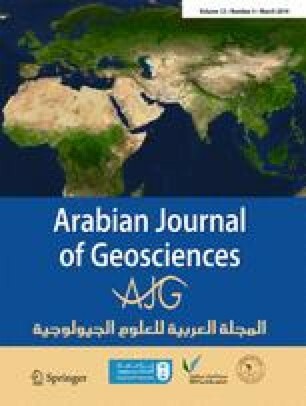 The present article aims to evaluate soil losses due to water erosion and to contribute to the knowledge about the impact of vegetation cover on the Isser watershed that is located in northwestern Algeria. For this purpose, two predictive models were used, namely the Priority Actions Program by the Regional Activity Center (PAP/RAC) model and the revised universal soil loss equation (RUSLE) model, using the geographic information system (GIS). To illustrate the level of protection in that watershed, it was decided to use two approaches for the estimation of factor C; the first one is the classical method and the second consists of calculating the normalized difference vegetation index (NDVI) during two periods (dry and wet). The map of erosive states, which was obtained from using by the PAP/RAC model, shows the areas that are potentially most vulnerable to erosion and which cover more than 60% of the total area of the basin. The results for vegetation cover (factor C) by the conventional method during the dry period present an average land loss equal to 14 (t ha−1 year−1), whereas this rate decreases to 7.9 (t ha−1 year−1) during the wet period. According to the NDVI approach, the factor C results for the dry season are 25.53 (t ha−1 year−1) with an annual land loss of up to 3 million tons. This study provided the qualitative and quantitative estimates needed for the development of the environmental management; it also helps to control the different impacts on that watershed.